This 4-session class will start you on a journey of discovery of quilting skills, terms and techniques resulting in a small quilt. These classes are taught by Karen Lewis. 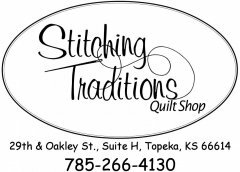 There is an optional book "Your First Quilt Book or it should be"
Four coordinating fabrics to be chosen from shop collection prior to first session.